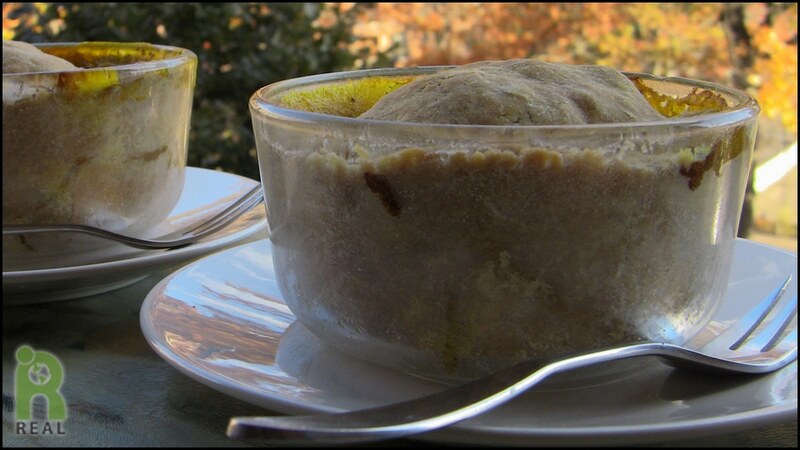 As a kid I loved those pot pies that would come frozen in individual aluminum pie tins that we’d heat up in the oven. 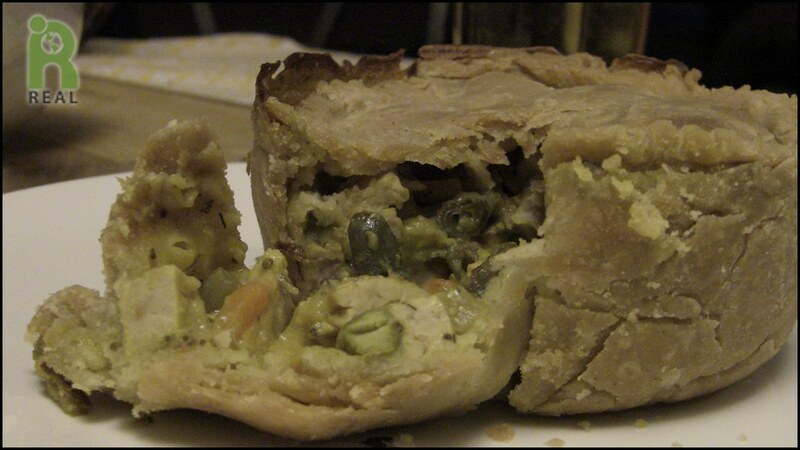 I still love pot pies, only they’ve evolved a bit. Now, vegan and gluten-free, this pot pie recipe is hearty and 100% comfort food. The crust is flaky, the filling is savory, gooey and so satisfying. 2 cups frozen mixed vegetables or 2 cups diced fresh vegetables: peas, carrots, string beans, corn, etc. In a large bowl mix the rice flour with xanthan gum. With two knives cut in the shortening to the size of small peas. Pour in water. Knead dough with hands until smooth. Cover and refrigerate. Place a cast iron skillet or heavy fry pan on medium high heat. Add in onions and celery, stirring frequently and dry saute. If vegetables start to stick pour in 1/4 cup water. If using fresh mixed vegetables add them in as well and cook until all are tender, about 10 minutes. Stir in frozen vegetables (if using). In a medium bowl, mix the gluten-free flour with the spices and salt. Slowly add in the water, a little at a time, mixing well. Add in the non dairy milk. Stir the flour mixture into the skillet and mix well. Add in the tempeh, tofu, veggie meat or beans, whichever you have chosen. Allow to cook 5 minutes more, stirring occasionally. Mixture will thicken. Remove from heat. You can use 1 1/2 to 2 cup ramekins, tart dishes or oven-proof bowls. Lightly grease the bowls with shortening. Divide the dough into 4 pieces. Take 2/3 of each piece for the bottom crust and the remaining 1/3 for the top. Pat the dough for the bottom crust into a flat circle, as large and as thin as you can make it. Place it in the bowl and with your fingers, gently press the dough from the center out, slowly allowing the dough to cover the entire bowl. Neatly finish the edge on the top. Repeat with the other bowls. Fill each bowl with the vegetable mixture. Taking the smaller pieces of dough, flatten each piece into a circle as large as the top of the dishes you are using. Alternatively, you can take two sheets of wax paper, grease each piece with oil or shortening and sprinkle gluten-free flour liberally on each sheet. Place the small round of dough between each sheet and roll to desired size using a rolling pin. Carefully peel away the wax paper and place on top of dish. Seal the edges where the dough on bottom meets the top. Bake for 55 minutes at 350oF. Remove from oven and serve. Hi Caryn, i am a big fan of yours the work you are doing for us is immense! I just want to bring the cast iron cookware to your attention, at this moment Dr furhman, dr Barnard are urging people not to use anything else but salad master cookware because its the only one that is sfe to cook with its made of 316 surgical stainless steel with titanium, even the Gerson Plus Institute give a set of this cookware when they are living the clinic. I am a vegan chef also a health coach and i have learn a lot from dr Fhurman, Campbell, true north health, dr Herbert Shelton and more. Thanks for the post Yolande! I plan to discuss cookware this Tuesday in Part II of my It’s All About Food show, 4-5pm ET on prn.fm.